This is our twelfth product on our online shop. There are only four pieces and a frame but Visible Framed Burr is diabolically difficult because of its tricky moves of the pieces when you assemble and disassemble the puzzle. Juno again used a CNC router to make the recesses onto top and bottom panels, also to gave a modification to one of the pieces to made the puzzle have a unique solution. Maybe, he just would like to play with the CNC router for fun. 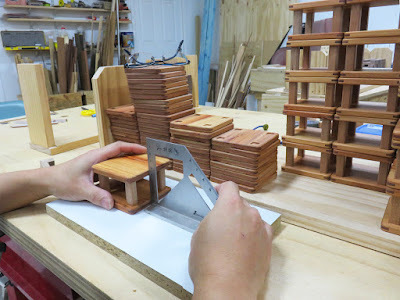 He also cared to prevent deformation of the pieces in long term, especially to the top and bottom panels, inserting Jarrah timber pieces to the ends of the panels. 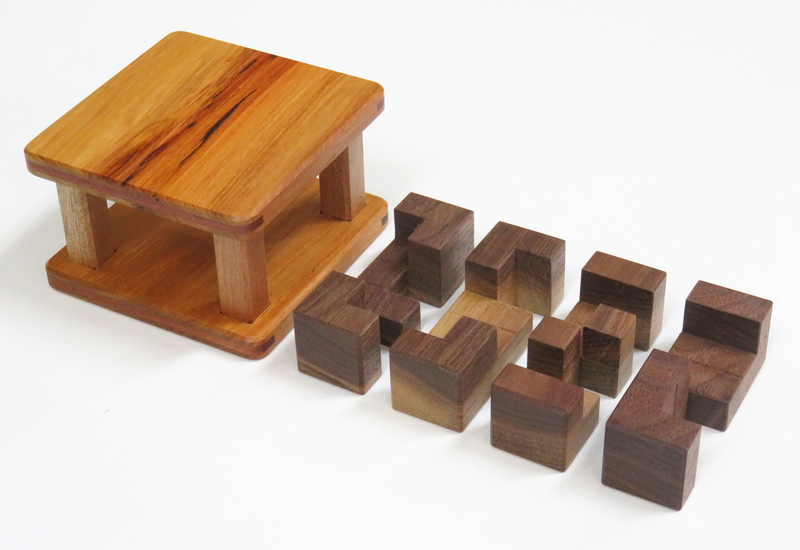 The puzzle has reasonable size, though it doesn't mean the puzzle can be solved easily. You might struggle even to disassemble the puzzle. We hope that puzzle lovers enjoy the puzzle. Visible Framed Burr is available on our website.